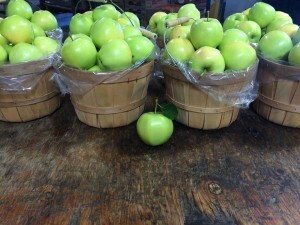 News » Our Own Apples are here!!! Our Own Apples are here!!! The flavors of fall are ready for harvest! First picked are our Ginger Gold & Paula Red apples, but many other varieties are on their way to ripening. Throughout the months of August, September, and October more then 10 different varieties will be picked from our orchard. If you are looking for the highest quality apples with the best flavor look no further! Looking for a specific type of apple and when it will be available? Just give us a call!! 978-683-0361 or Download our Apple Facts sheet for tons of apple information! !